IPTV and streaming are becoming the new norm for watching your favorite shows, Movies or Sports these days. Right now such technology has made it easier for customers to have easy and fast access to their shows from anywhere and anytime. One does not need to wait for someone to install this service to get IPTV Subscription in their homes. IPTV makes it easier for you to access it on any device you have at home whether its an Android, IOS, or Smart Tv, you can use any of it to start. First off what does IPTV means? 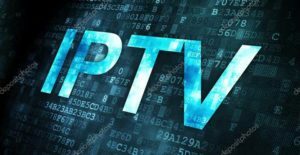 IPTV stands for (Internet Protocol Television). This would instantly indicate that one must have an internet connection to avail one. The higher the internet speed plan the better IPTV streaming and connection you could get. A majority of IPTV subscription providers nowadays offers a wide variety of choices like IPTV Indian channels, IPTV USA Channels, IPTV UK Channels, IPTV Filipino channels, IPTV Canada Channels, and to the most favored IPTV English channels & the best part is that they come with 1000s of VOD Movies and Shows. Most IPTV subscription provider would offer over 500 channels while some can give you 1500 channels plus VOD. Such offerings would entice anyone to drop their old-school cable and dish network tv, providers. To get IPTV Subscription one must have a device like an Android Box, Android Phone. Mag Box, Avov Box. Dream Link Device, Buzz Tv Box or IPTV apps like Stb Emulator, Kodi, Stalker Tv APP, IPTV Smarters or VLC Media Player to be able to watch IPTV. Getting an IPTV Subscription to work for you would require you to have the ones mentioned above. Fast internet connection, a set-top box or other devices built for IPTV streaming and apps which you can easily download from the Google play store. It can actually be a challenge for people who are technically challenged to have this set up so it is also important to get the right IPTV provider to subscribe to get this done efficiently. You can get an IPTV Subscription for free for a certain period of time to test it out. This is highly suggested especially if you are new to the IPTV scene as each IPTV provider offer different kinds of subscription making it a daunting task on which will you subscribe to. Check for subscriptions that offer IPTV live, VOD and the channels that you prefer and want to have. Also look for IPTV reviews on the internet so you can check out which providers are offering the best package and service as well. Getting Free IPTV trials is one of the best ways to know if the IPTV Subscription is what you want and if it has good streaming capabilities. We are geared towards using the internet more and more in our daily lives that its not a surprise that getting our channels via the internet is taking over the normal options of cable and dish network. Iptvsubscription.net offers you the option to choose from the best trending IPTV plans in the world and makes it easier for you to choose the right plan that meets your needs. Free IPTV Trials are available on some plans and they are usually for up to 24 hours where some are as long as 3 days.